To assess the prevalence of myofascial inflammatory lesions visible by magnetic resonance imaging (MRI) and their changes after tocilizumab therapy in active polymyalgia rheumatica (PMR). We conducted a post hoc analysis of data from the TENOR study(Devauchelle-Pensec V, et al Ann Rheum Dis. 2016; 75:1506-10). Inclusion criteria were PMR meeting Chuang’s criteria, onset within the past 12 months, active disease defined as PMR-AS>10. 18 patients each received tocilizumab injections at weeks 0, 4, and 8. The shoulder and pelvic girdles were assessed at baseline then at weeks 2 and 12 using an MRI 3T Philips Achieva (Philips, Amsterdam, The Netherlands), with a 32-channel surface antenna. Three sequences were used: axial T1 turbo spin echo (TSE), axial T2 short tau inversion recovery (STIR), and coronal T2 STIR. Radiologists blinded to patient data assessed each muscle group for myositis and fasciitis on baseline, week-2, and week-12 MRIs. Myofascial lesions were defined as a high T2 STIR signal that was either diffuse within the muscle or formed a line surrounding the muscle. Reproducibility was estimated by having two radiologists assess the week-2 MRIs. Results: For myofascial lesion detection, intraobserver reproducibility was almost perfect (κ =0.890) and interobserver reproducibility was substantial (κ =0.758). At baseline, all patients had at least one inflammatory myofascial lesion; sites involved were the shoulder in 10 (71.4%) patients, hip in 13 (86.7%), ischial tuberosity in 9 (60.0%), and pubic symphysis in 12 (80.0%). Sites involved at week 12 were the shoulder in 8 (53.3%) patients, hip in 5 (33.3%), ischial tuberosity in 1, and pubic symphysis in 3 (20.0%). At week 12, of 103 muscle groups studied in all, 43 (41.7%) had no inflammatory lesions, compared to 33 at baseline (Mac Nemar; P<0.001) but some areas seemed to be more responsive to tocilizumab compared to other areas. Improvements were noted in 66 (64.1%) muscle groups, worsening in 2 (1.9%), no change in 35 (34.0%). In addition to synovitis and bursitis, PMR causes myositis and fasciitis of the shoulder and pelvic girdles. Tocilizumab therapy improves the myofascial lesions, in addition to the clinical and laboratory features. Disclosure: J. P. Laporte, None; F. Garrigues, None; A. Huwart, None; S. Jousse-Joulin, None; T. Marhadour, None; D. Guellec, None; D. Cornec, None; V. Devauchelle-Pensec, Chugai, 2, 5; A. Saraux, Chugai, 2, 5. Laporte JP, Garrigues F, Huwart A, Jousse-Joulin S, Marhadour T, Guellec D, Cornec D, Devauchelle-Pensec V, Saraux A. Myositis and Fasciitis By Magnetic Resonance Imaging in Recent-Onset Polymyalgia Rheumatica and Effect of Tocilizumab Therapy [abstract]. Arthritis Rheumatol. 2018; 70 (suppl 10). 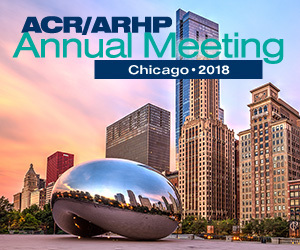 https://acrabstracts.org/abstract/myositis-and-fasciitis-by-magnetic-resonance-imaging-in-recent-onset-polymyalgia-rheumatica-and-effect-of-tocilizumab-therapy/. Accessed April 22, 2019.